Its been a pretty long while since my last post. Work and life have kept me busy! However, I had to log on and tell a story about how incredible this forum is and how amazing the membership truly is… gather round the digital campfire…. 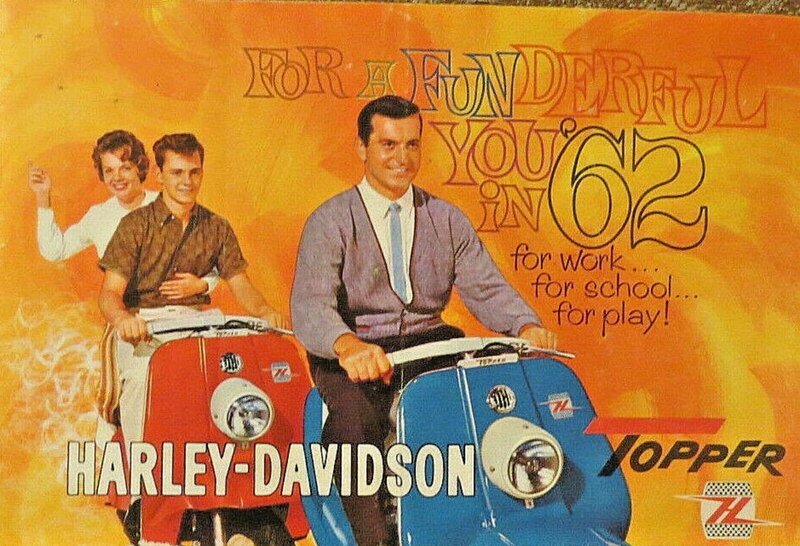 When I was growing up in a suburb outside of Detroit, my dad had a 1965 Harley Davidson motor scooter called a Topper. He got it from the neighbor across the street for the massive sum of $50 if I have the details right. The scooter was really only ever officially used on “VIP Days” for my sisters and I. Each of us kids had an assigned “VIP Day” and on that day, dad would ride us on the scooter to the lake or out for ice cream or to the zoo etc… It was a way for us to get 1 on 1 time with our dad. Later, when I was about 12, I uncovered the scooter while my folks were working. After a bit of tinkering I was able to start it and ride it around the neighborhood. From then on, without my folks ever knowing, I would ride the scooter each summer. It was the first thing on two wheels with a motor that I ever rode…. The guy that got out of this pick-up truck looked like Santa Claus in overalls… giant white beard, huge belly, literally chuckling “ho, ho, ho” as I remember it… I asked what was going on and he said: “Son, I’ve got to have that scooter – how much do you want for it?” I informed him that it wasn’t for sale because it belonged to my dad. He asked: “Well what do you think he would want for it?” I stammered and attempted to throw out a number so high that he would drive off and leave me alone. $2500, I said. That jolly old fat Santa contractor guy scratched out the check and told me to give it to my dad. If my dad wanted to cash it then he would come by for the scooter…. This was like 1979 or 80, people still trusted people – there was no Internet. If you wanted a collectable item you had to trap it for yourself!!! I rode the Topper home and covered it back up in the garage. I had been riding it for three summers and my folks didn’t even know it was operable. That night, I cautiously spoke to my dad about the scooter… revealing that I had “fixed it” and that it was running pretty good. I then revealed that I had been riding it (only admitted to riding it that day). I then explained that some jolly fat Santa looking guy had chased me down and offered $2000 for it!!! He didn’t believe me and I was on my way to being grounded, when I offered to show him the check. Shock. Dad: You have a check??? Dad: This check is for $2500 - not $2000!!! Me: Well if you are going to cash it I figured we could spend $500 on a dirt bike for me – since I was the one that got the scooter running!? It was a significant risk to try this kind of gimmick with my dad. Further, my mom had already said I could not have a dirt bike until I was 18 and out of her house. My dad had to make a tough call. So, that is how I came to ride my first motorized two-wheeler and how I got my first real dirt bike: a 1976, YZ80… I was 14. Fast forward to November 2017, I was surfing E-Bay and there it was: the Topper. 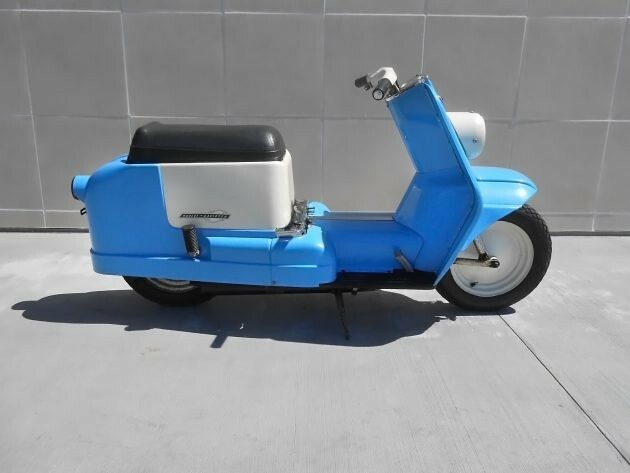 Not our actual scooter but the same model/color and same year. I watched the auction end without bidding. It relisted right away for $500 less… The auction ended with no bids. A week later it appeared for the third time: Asking $2800. I messaged the seller and offered $2500. He sold it to me for $2600. This 1965, HD Topper had 4192 original miles and every nut and bolt was there – it was complete. I had located a website that listed inventory of about 750 NOS Topper parts including some very hard to find bits. I made an order for nearly $500 worth of parts to buy. When it came time to checkout I received a message that my order could not be processed. The parts were in the hands of a collector in the Netherlands who had decided not to ship to the USA. In TOMJK’s thread he mentioned that he was a Kawasaki Triples fan, that he had owned many bikes and that he was currently playing with an FJ1200 3CV. We have a lot in common. I took the chance to message Tom and tell him about my parts purchase troubles… his response was nothing short of amazing to me. 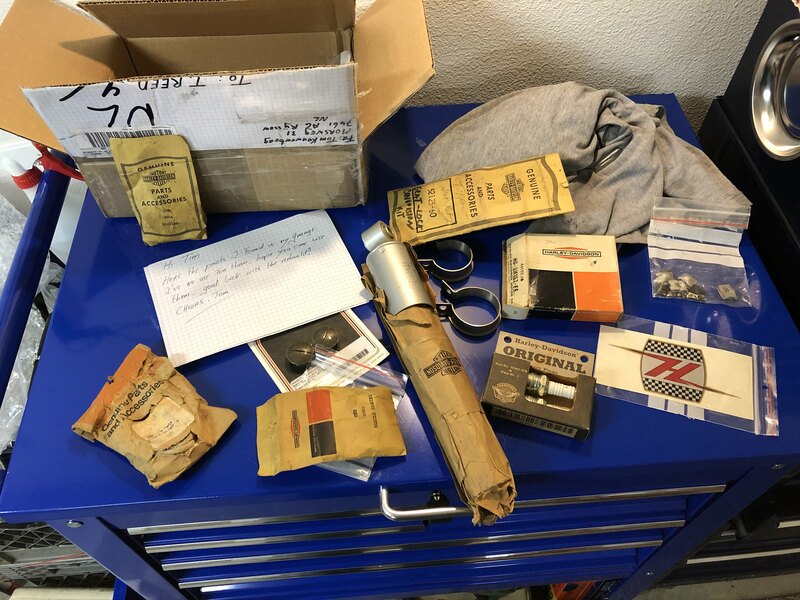 Not only did Tom “help”, he went out of his way to make sure that I got the parts I needed… Tom allowed me to use his Dutch address to complete the order and have the parts delivered locally. 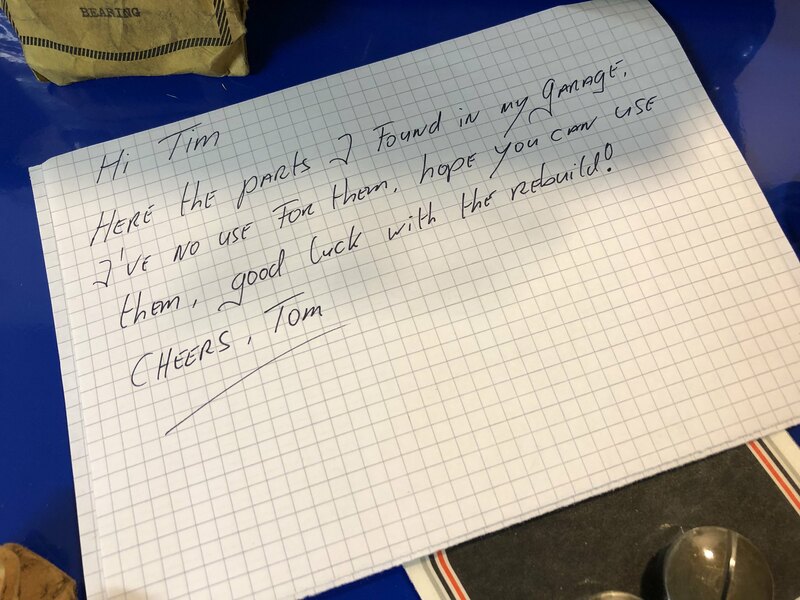 When the seller refused my order again… Tom ended up driving about an hour from his home to go get the parts in person. He then sent them to me here in the US. I am very grateful to TomJK for his help. He is an FJ brother and as far as I am concerned… I owe him one! He’s got an excellent sense of humor too! I hope that we get the chance to ride someday. What a great story and very well written too. I agree about the forum, it seems to be filled with people that want to help. That US$2500 asking price in 1979 would be like asking for US$9200 in today's dollars. It had a 160cc one-cylinder engine with a Constantly Variable Transmission, and drum brakes. Oh the magical crystal ball stuff.... I was asked by a young fella a while back, "Eric. how do you become a collector?" to which I replied, when yr done with something, never sell it. Bite off more than you can chew... then chew like hell! !